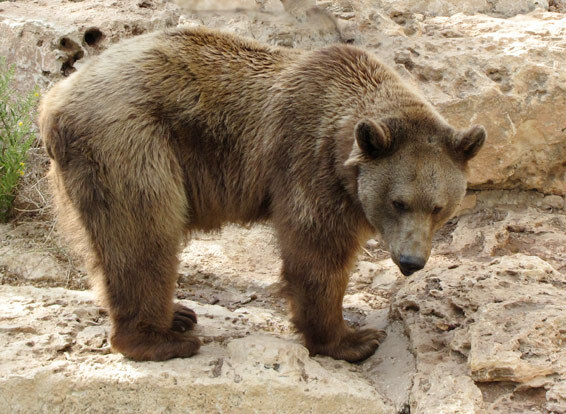 The Gobi bear, Ursus arctos gobiensis is a subspecies of the brown bear, Ursus arctos. It is listed as critically endangered by Mongolian Redbook of Endangered Species and by the Zoological Society of London. The estimated population is less than 50 adults. Six of the eight species of bears are classified as vulnerable or threatened with extinction. The Gobi Bear is shy and elusive. Brown bears usually have a robust frame with a powerful shoulder hump of muscle. 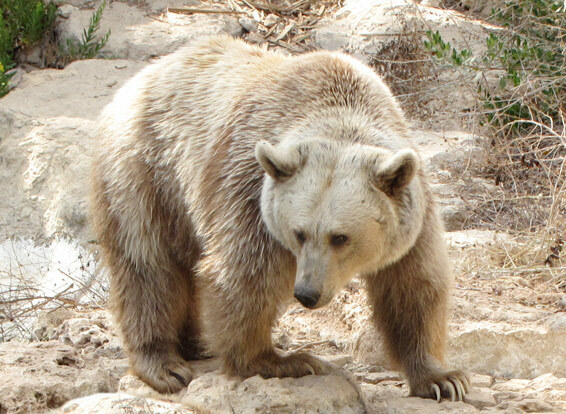 The Gobi bear has longer limbs and a shorter golden coat than its cousins. On day 14 of our 81-day, 1,600-mile trek across the Gobi Desert I stopped speechless, shielding my eyes as I strained to see through the 100-degree glare to see the improbable sight ahead. “A Gobi bear,” whispered Bill, unbelieving. Time stopped. We stood rooted to the spot. The hunched brown form loped on all fours, nose close to the ground, only two hundred yards ahead. As the bear crossed our route it suddenly stood on its hind legs to face us, its black nose raised to catch our scent. Standing, he was about three feet high. We guessed he weighed about two hundred pounds. We stared at each other, two species gathering information. Then, having determined that we were not bears, he dropped to the ground, and in alarm ran with a peculiar, rolling gait down a dip in the plain. His chocolate brown coat rippled as he disappeared in the direction of the Shar Khulst oasis north of our route. 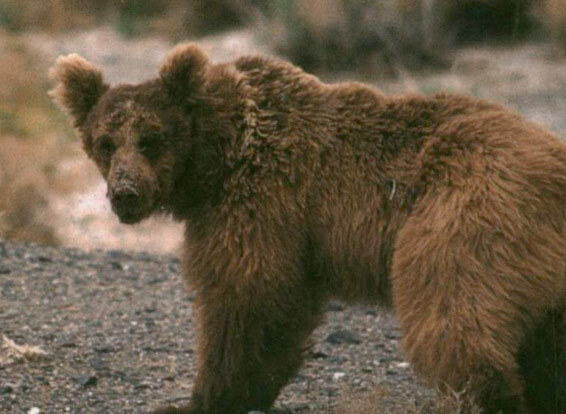 The world’s only desert bear, and one of the earth’s most endangered species, the Gobi bear lives in the Gobi 'A' Reserve. Although no one really knows how many there are scientists estimate their numbers to be as low as thirty-five. They are so rare we never thought we would see one. The sighting provided one of the greatest thrills of our journey.